Ilan Paretsky is leading the global marketing activities of the company. Ilan is responsible for Ericom’s positioning, demand and lead generation, go-to market planning, strategic market direction research, online and offline marketing planning and execution. 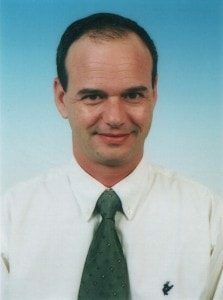 Prior to joining Ericom in 2005, Mr. Paretsky held various leadership positions in B2B corporate and product marketing, business development, project management and software development, in the software and telecom industries for such global leaders as Amdocs, Comverse, New Dimension Software (BMC), and Tadiran Electronics Industries Ltd.
Mr. Paretsky holds a Bachelor of Science Degree in Computer Sciences from Bar-Ilan University in Tel-Aviv, and an MBA from the University of Heriot-Watt – Edinburgh Business School. Ericom Software is a global leader in securely connecting the unified workspace. Ericom empowers today’s connected workforce and the IT organizations that support them by securing and optimizing desktop, application, and web content delivery to any device, anywhere. Founded in 1993, Ericom provides enterprise-grade secure remote access, desktop virtualization (VDI), and web security solutions to a global customer base of more than 30,000 midsize to Fortune 500 organizations. With a focus on application delivery, Cloud enablement, and secure browsing, Ericom advances secure connectivity—providing end users with a superior work experience and optimizing enterprise productivity. Ericom has over 10 million end users; offices in the United States, United Kingdom and EMEA; and an extensive network of distributors and partners throughout North America, Europe, APAC, and Africa.